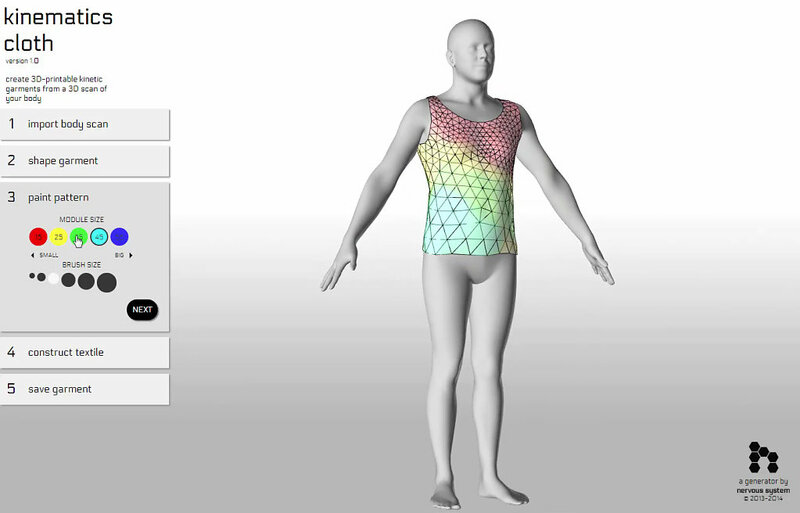 Kinematics Cloth is a web application where people can design custom-fit 3D garments by sketching and sculpting in real time. A variety of clothing items can be created in the app including dresses, skirts and shirts. 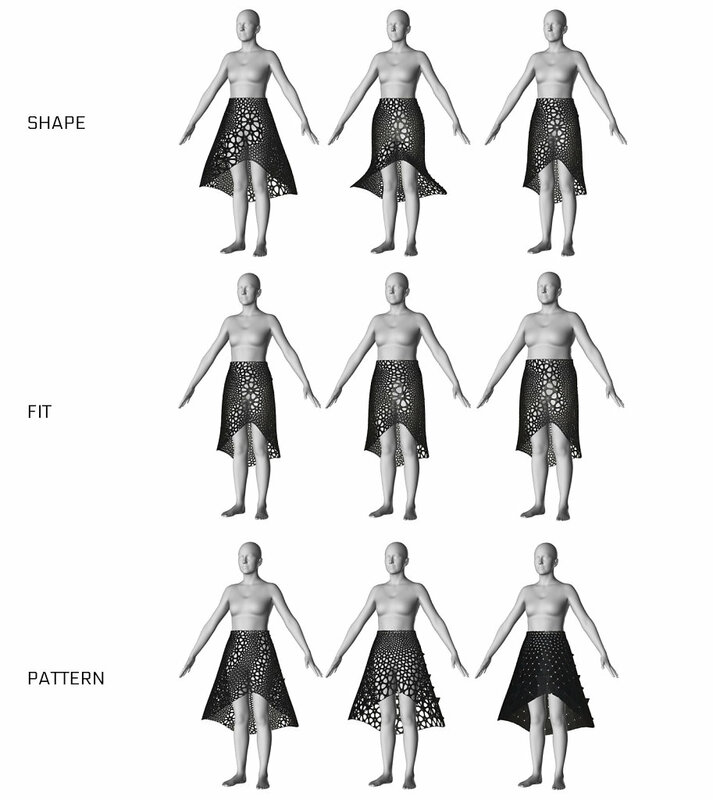 Users can sculpt the silhouette and hemline of their garment and determine the pattern of the garment’s tessellated fabric structure. The design system uses an adaptive remeshing technique to allow a user to design a pattern of modules in real time with an intuitive painting interfacing. While these complex structures would be difficult and time consuming to create in traditional CAD modelling, the Kinematics app makes it accessible to anyone. 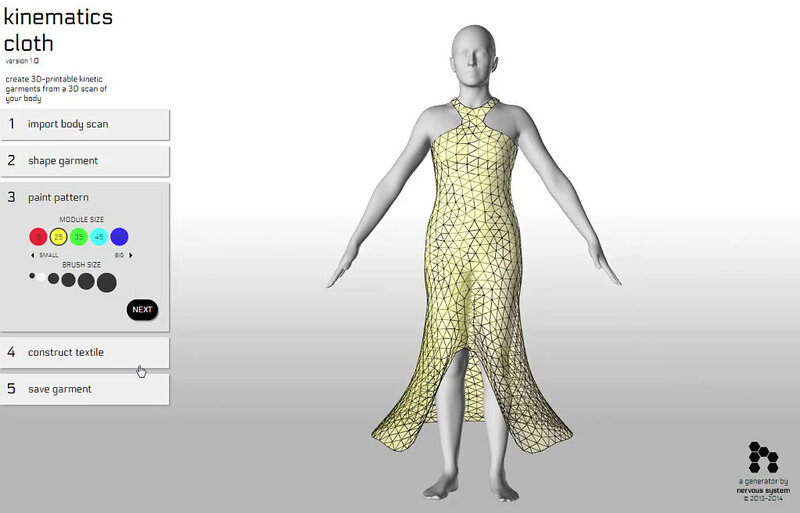 Kinematics Cloth builds garments to your exact measurements. Using parametric body modelling technology from BodyLabs, you can import your body into the app. Clothing designs created on in Kinematics Cloth can be adapted to any body shape.